Place the Downspout Filter under the end point of your eavestrough so the water runs into the filter. The filter will filter out debris off of your roof, to prevent it from running into your water storage area. 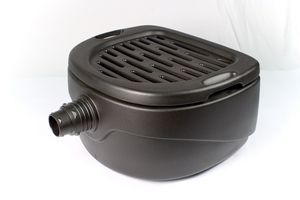 The Downspout filter is connected to your underwater storage area.